Even though Sony hasn't said a single official word about the PSP2, it could be released next year. The PSP2 has only been spoken about in rumors for the past year, aside from Mortal Kombat studio NetherRealm acknowledging that it has one . Sony is keeping information about the system relatively close, though another reported leak is putting the system on retail shelves by the end of next year. A British source close to VG247 says: "We've been told it's coming in late 2011." Once again, this is an unconfirmed tidbit of information, but it's still all we have to go on thanks to the lack of any official words from Sony. 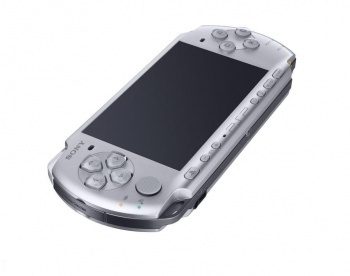 However, it's yet another recent indication that Sony is lining the PSP2 up for a 2011 reveal. This would mean that Sony is likely to announce the PSP2 and its line-up of games at E3 so it can make a big splash. An E3 2011 announcement would also make sense due to rumors that PSP2 development kits are all over the industry. Could 2011 finally be the year that Sony gets its head back into the handheld game? I hope so, because the PSP2 is rumored to be quite a powerful machine, and might even feature unique control methods like a touchscreen on the back. Sony needs to tell us something about it already, though the secrecy is certainly building up anticipation.